New London, CT – The 2019 men's lacrosse season is fast approaching which means it is time for the fourth annual Coast Guard Men's Lacrosse "Fall Fest". In conjunction with Homecoming Weekend, on October 14th the Bears will close out the celebration and their fall season with games against Division II Franklin Pierce University and Western New England. The Bears are coming off their fourth season at the NCAA Division III level which saw them win a program record 14 games, earn a share of the New England Women's and Men's Athletic Conference (NEWMAC) regular season title and make it to the Conference Championship Game for the first time in program history. The season was also highlighted by the team's 10-9 overtime victory over eventual National Champion Wesleyan and the team's first victory over rival Merchant Marine. This upcoming season will once again feature a difficult NEWMAC schedule with out of conference games against Wesleyan, RPI, Elizabethtown College and Conn. College. 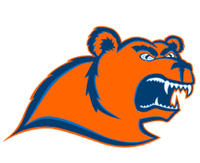 The Bears open their season on the road against Elizabethtown College on February 16th. The first home game will be February 23rd against UMass Dartmouth.